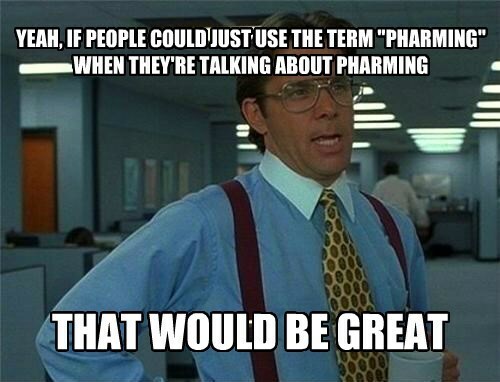 It never ceases to amaze me how people who are perfectly comfortable using terms like spam or virus or man-in-the-middle will still resort to describing pharming instead of just using the term pharming. It's almost as if they'd never heard of the word before. Next thing you know people will forget what BACN is.